Teaching Artist Certificate Program Offered at Teachers College! 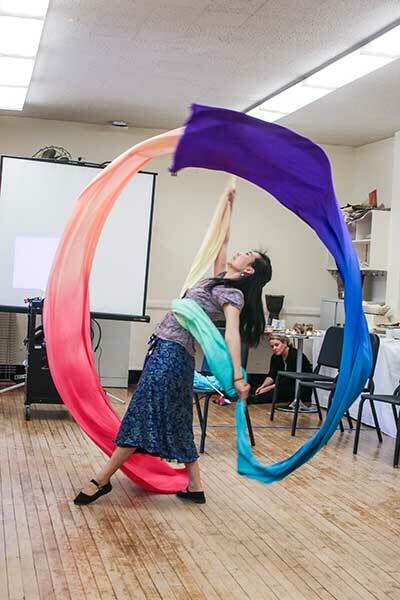 At an intimate, Saturday morning gathering at Teachers College in early May, TC alumna and dancer Ling Tang performed a Chinese ribbon and fan dance with a long, multicolored scarf. Visual artist Kostas Kiritsis demonstrated how to make a short film with an iPhone, and Fabian Saucedo, an actor, director and hip hop artist, delivered a rap poem. Ling, Kiritsis and Saucedo were among the artists who conveyed their personal, artistic responses to their experience in the Teachers College Teaching Artist Certificate program (TCTAC), which concluded its pilot year with the event in Horace Mann Hall. Lori Custodero, Associate Professor of Music and Music Education at Teachers College and creator of the Teachers College Teaching Artist Certificate program, at the program's year-end celebration. The TCTAC professional development program for teaching artists was created in 2016 by TC in partnership with YANY, which for 65 years has provided children in public schools with arts programs taught by professional New York city musicians, dancers, theater, visual and digital artists. The program is funded by Leslie Nelson, Vice Chair of TC’s Board of Trustees; her brothers Andrew Morse and Douglas Morse, YANY’s former board chair and current trustee; and YANY Board Chair Kim Greenberg, a TC alumna parent. Teaching Artist and TC alumna Ling Tang performs a ribbon dance at a gathering for the Teachers College Teaching Artist Certificate program participants. 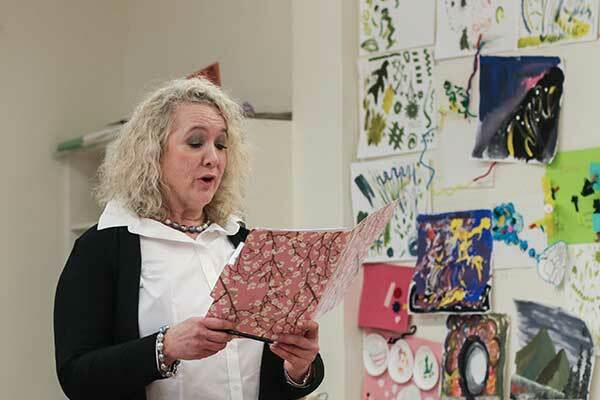 The Teaching Artists Certificate program acknowledges the increasingly important role played by professional artists as teachers in the nation’s schools amid declining public funding for arts education. The program grew out of work that TC and YANY teaching artists started a few years ago at the Teachers College Community School in Harlem. The certificate program leverages the deep expertise of Teachers College to provide teaching artists with the best possible pedagogical and practical skills for teaching learners of all backgrounds. It enables participants to help children create art alongside professional artists who are also well supported in their role as teachers. 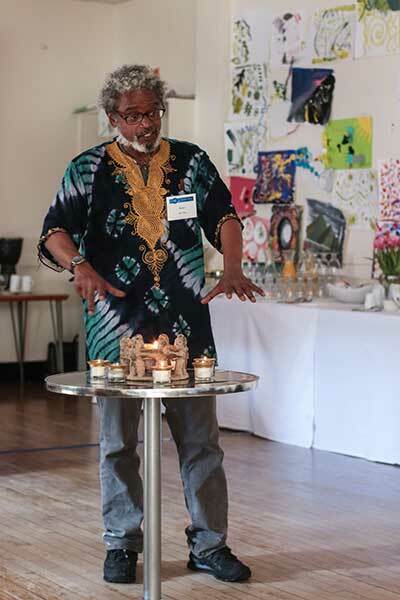 Teaching Artist Amir Bey discusses his work in the Teachers College Teaching Artist Certificate program. The TCTAC program gives YANY teaching artists the professional tools to offer their students the richest possible arts education experience using the highest educational standards. Rather than stressing prescribed formulas, the curriculum focuses on issues such as social and emotional development, the importance of acknowledging and sharing one another’s cultures, designing effective learning environments, interdisciplinary connections, observing and identifying artistic behaviors, and assessing artistic understanding. For more information about the Teachers College Teaching Artist Certificate Program, go here.